Ram Sam Storytime: Who's Sick Today? We all hate being sick. 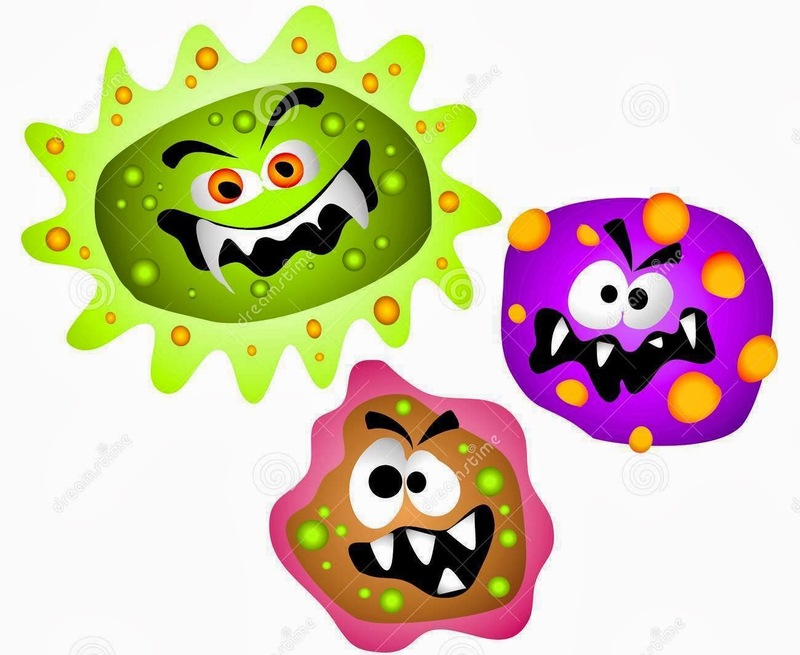 Today at storytime we shared stories about illness which included toothaches, sore throats, sneezes and sniffles. We also talked about washing hands to keep those pesky germs AWAY from our bodies! For a hand-washing excersise, we shared this fingerplay rhyme. Along came the water ... and washed one away! Along came the soap ... and one had to run. Along came the scrubbing and said, "you're not going to stick!" Along came the rinse and washed one out of sight. But I dried my hands with a towel and now my hands are nice and clean! 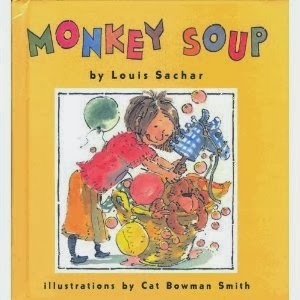 Many years ago, I made a book prop from the Lois Sachar book Monkey Soup. It is one of the best book props I have ever made and I use it every year. Best thing about this prop? You can always replace the pieces. The book (which is out of print) tells the story of a little girl whose daddy is sick. Just like mommy is making him chicken noodle soup to feel better, the girl is making "monkey soup", named such because of the help from her stuffed monkey (who ends up as a soup ingredient at the end). I skip the entire monkey part and just stick with the main ingredients. bubbles because who doesn't love bubbles?? Finally, to finish we did "Five Little Monkeys Jumping on the Bed". I brought along a phone prop so I could "talk" to the doctor after each monkey bumped his or her head.